Since 2015 Australian songwriter/producer Max Byrne, aka Golden Vessel, has been crafting a unique sound that blends elements of electronic music with hip-hop, RnB and alternative pop, as he continues to explore different songwriting styles and techniques to help create a truly unique and engaging sound. In such a short period of time Max Byrne has released two hugely successful eps (‘Before Sleep’ & ‘Right/Side’), has done two Australian headline tours, has been main support for Willow Beats and The Kite String Tangle on their national tours, signed an Australasian record deal with Exist Recordings, partnered with New World Artists for Australasian bookings & tours, sign a publishing deal with US agency Ultra Music Publishing, and has collected millions of streams via Spotify & Apple Music for his catalogue of released music. Max has always seen Golden Vessel as being a collaborative project. He thrives on working with his friends and fellow music industry peers, and as he continues to expand his sound and artistic growth, he is excited about the music that he is yet to create with all of the new friends he makes along the way. 2018 has been a busy year for Golden Vessel. He’s been involved in writing & producing music for Filous, Benji Lewis, Mallrat, Allday and Cub Sport, as well as a few others that can’t be named just yet. And back on the home-front he released a single in February called ‘Hesitate’ with this good friend and regular collaborator Emerson Leif, which has gone on to be his most successful release to-date with over 6 million streams on Spotify alone. He also began working on his debut album that is now well underway and scheduled for release in mid-2019. Just recently Golden Vessel gave us three of the album’s lead-singles; BIGBRIGHT feat Elkkle, E^ST & DUCKWRTH, MOONSTONE feat Elkkle & Akurei and DIZZY featuring Oscar Key Sung, impressing many around the world and holding true to his collaborative nature. 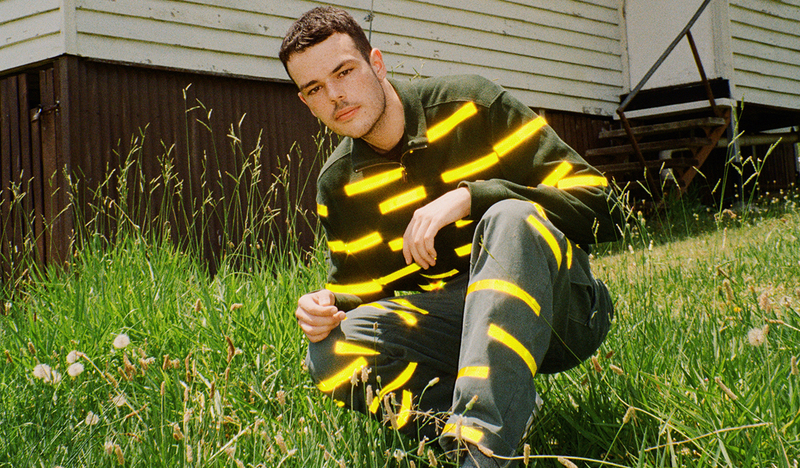 Golden Vessel kicked-off 2019 with his first North American tour BAYNK, which was followed by his debut appearance at SXSW in Austin, Texas.